This light-weight sweater is ideal for the winter to spring transition. 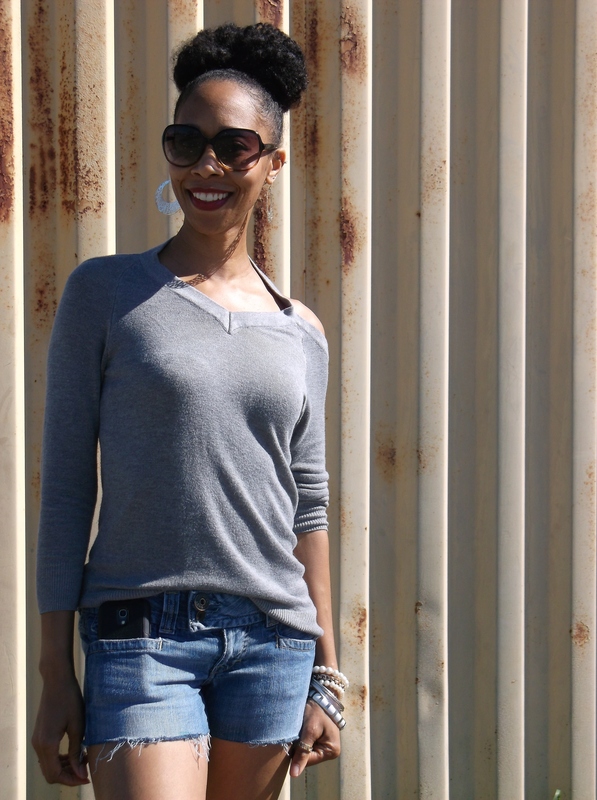 The heather grey knit looks deceivingly simple from the front with it’s V-neck and mousy color. But from the back it reveals a whole other story… Literally. Abaft the unassuming top is a halter neck with a fun and flirty open back. Today is the perfect weather for an exposed back to bathe in the warmth of the sun. 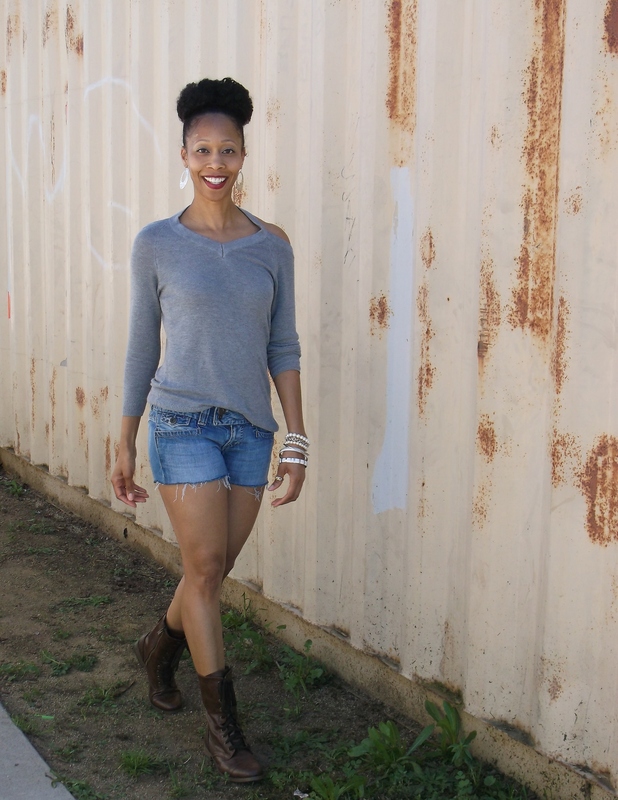 I coupled the sweater with jean shorts that I made from chopping off the legs of an old pair of capri pants. The unfinished bottoms with my combat boots gives the look a slight Lara Croft feel. Chunky bracelets provide plenty of arm candy to finish things off. 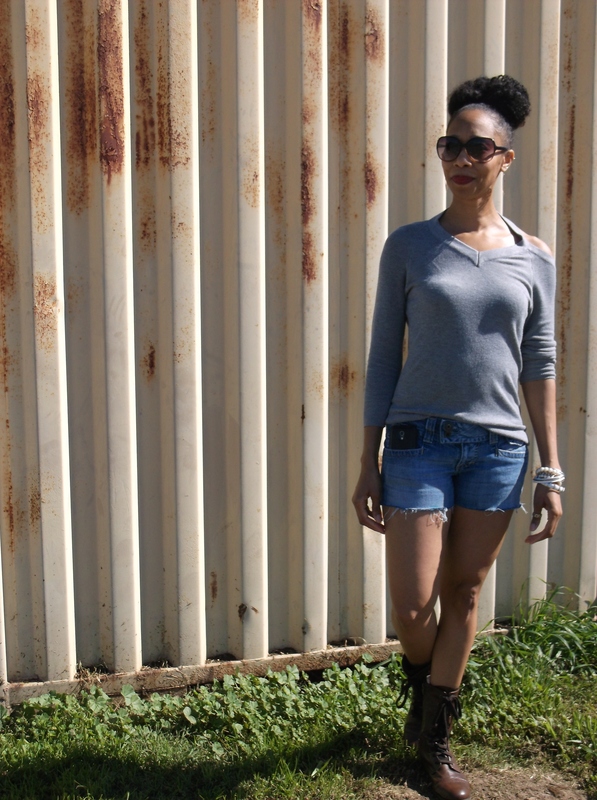 How will you style your “out back” tops this spring? I haven’t been in 30 degree weather in a loooong time! LOL. Great idea about tucking the top into a full skirt! Be on the lookout for that in a upcoming post. 😉 xo! Yes hunnnyy, yes to all this and that back?? ?